Former CIA Director John Brennan has been one of President Donald J. Trump’s harshest critics. “Reckless,” “treasonous,” and “disgraced demagogue” are among the words he's applied to Trump in recent weeks. The revocation of his security clearance raises questions about access to government secrets and the role of the executive in controlling that access. The White House is now considering similar actions against other former U.S. officials who it says have “politicized and, in some cases, monetized” their security clearances. The president has also targeted a current Justice Department official, Bruce Ohr, whose wife worked for a firm that did opposition research on Trump. Many legal analysts and intelligence experts say that Trump’s decision to revoke a clearance for political purposes—and not based on any explicit security violation—is unprecedented. Trump has violated a core democratic norm, critics say. Furthermore, the president’s actions could have a chilling effect on those who disagree with him. Trump’s removal of Brennan’s clearance is “an attempt to stifle free speech” that is “clearly a signal to other former and current officials,” wrote a bipartisan group of senior intelligence veterans. Other critics think the opposite may be true—that Trump’s actions may encourage leaks and other acts of dissent. As for Brennan, some argue he has proven himself untrustworthy and that his rhetorical attacks on the president went beyond the pale, particularly given his involvement in the counterintelligence investigation of Trump’s presidential campaign. 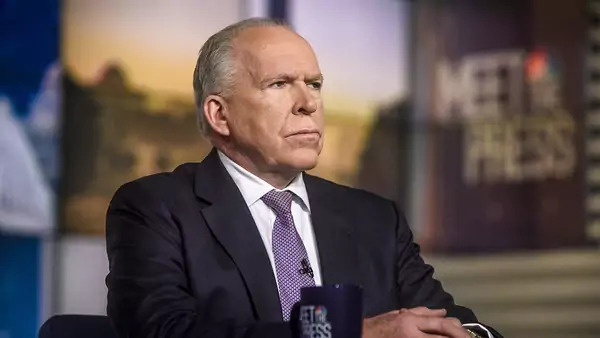 Even detractors of Trump say Brennan’s sharp criticism feeds the administration's claims about a so-called deep state. Others opine that clearances should sunset with government employment. Most legal experts say the president has broad authority to control access to national security information; however, that power is limited, they say, and in summarily revoking Brennan’s clearance, Trump may have violated his constitutional rights to free speech and due process. Here are some facts that are beyond debate. Government agencies grant clearances at three levels: confidential, secret, and top secret, which is what Brennan had. Holders are eligible to view classified national security information only on a need-to-know basis. Government workers or private contractors who deal with national security and foreign policy matters often must obtain a security clearance. Security clearances are required for many lucrative private-sector jobs. Except in rare cases, a holder must be a U.S. citizen. Those who serve in elected positions laid out by the Constitution, such as the president and members of Congress, can access classified materials without such clearances. More than four million people have U.S. security clearances. Is a clearance difficult to obtain? The process includes a detailed background investigation and can take several months to more than a year. Holders must be reinvestigated at least every five years. What are grounds for being denied or losing clearance? The government uses thirteen criteria in screening: allegiance to the United States; foreign influence; foreign preference; sexual behavior; personal conduct; financial considerations; alcohol consumption; drug involvement; psychological conditions; criminal conduct; handling of protected information; outside activities; and use of information technology systems. Why do ex-officials keep clearances? Many private citizens who served in high-level government positions maintain their clearances because they may be called back into public service, as either an employee or consultant, to discuss classified matters with their successors. For instance, former CIA Acting Director John McLaughlin said his clearance was vital when he was invited back, on a voluntary basis, to the agency to chair a committee on counterterrorism.